Subway Stations St Maur (L3) ou St Ambroise (L9). With over 10 000 references and second hand's LPs for really cheap. 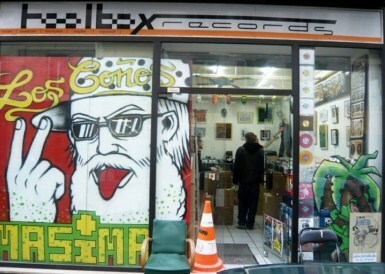 And of course the advice of a real record dealer. Presentation en video: What is Toolbox records ?? 13 Celestial Conspiracy 07 2x12"